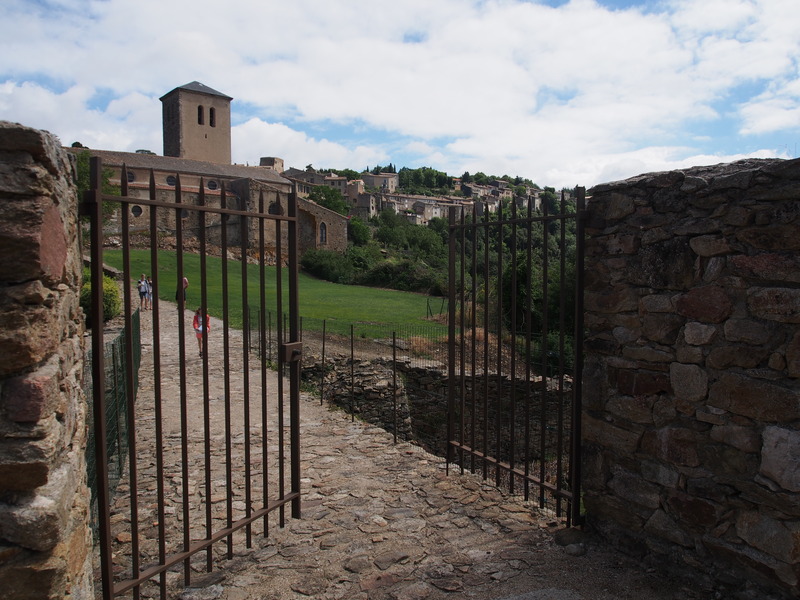 Saissac – located in the Languedoc-Roussillon region of southern France, Aude department and 25km north-west of Carcassonne along the D6113 and then the D29. 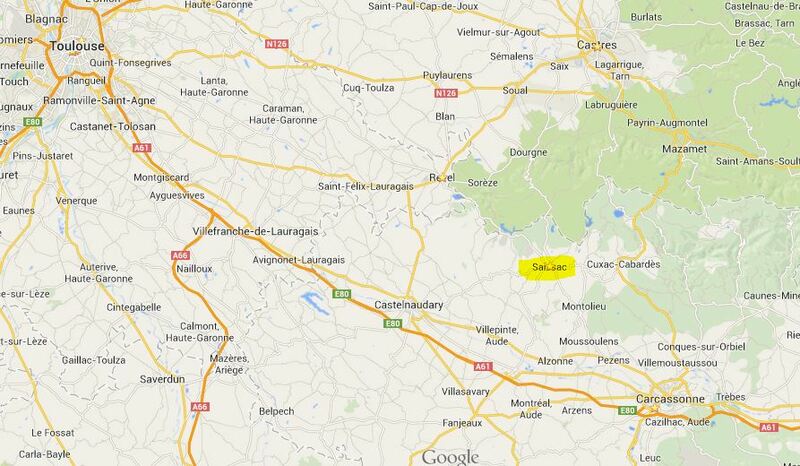 Saissac is a small village with a population of just under 1,000 people. 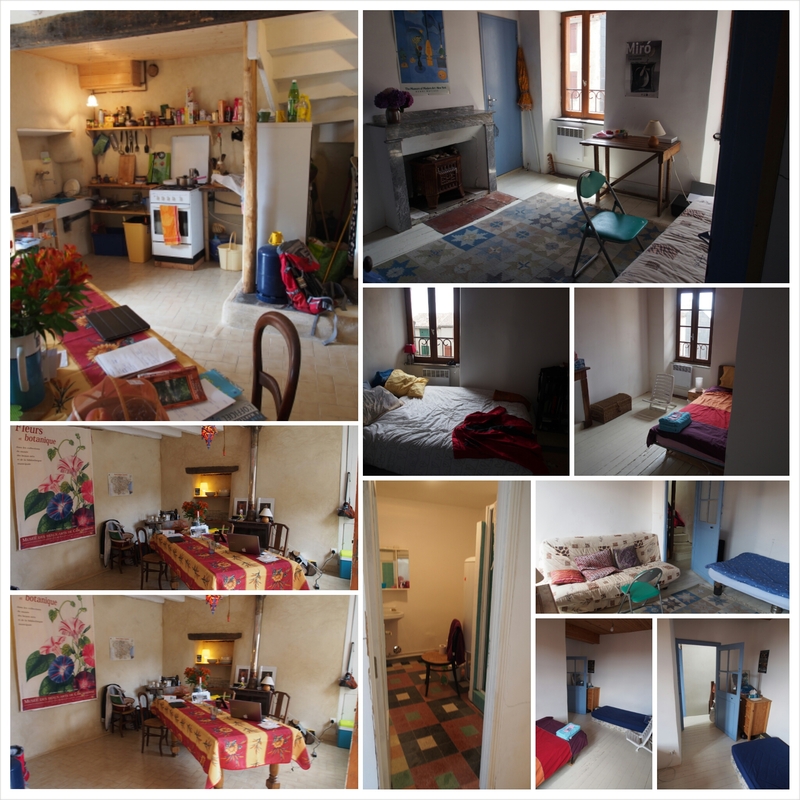 It’s located in the Montagne Noir, a beautiful area just north of the valley of which the Canal du Midi runs through on its route between Bordeaux, to the west and on the shores of the Atlantic, and Sete, to the east on the shores of the Mediterranean. 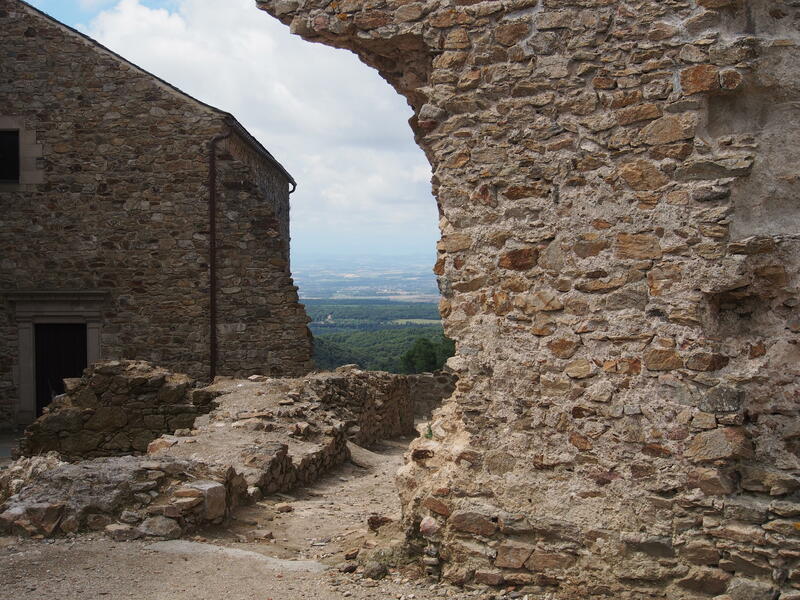 Saissac is famous for the ruins of a Cathar château of which part of the construction dates back to the Roman times. 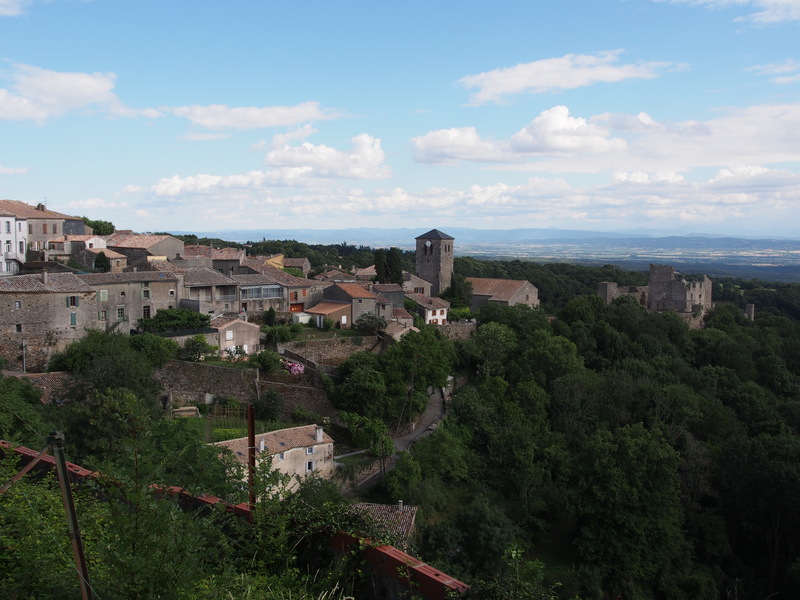 Viewing the village from the main road into town the château dominates the landscape. 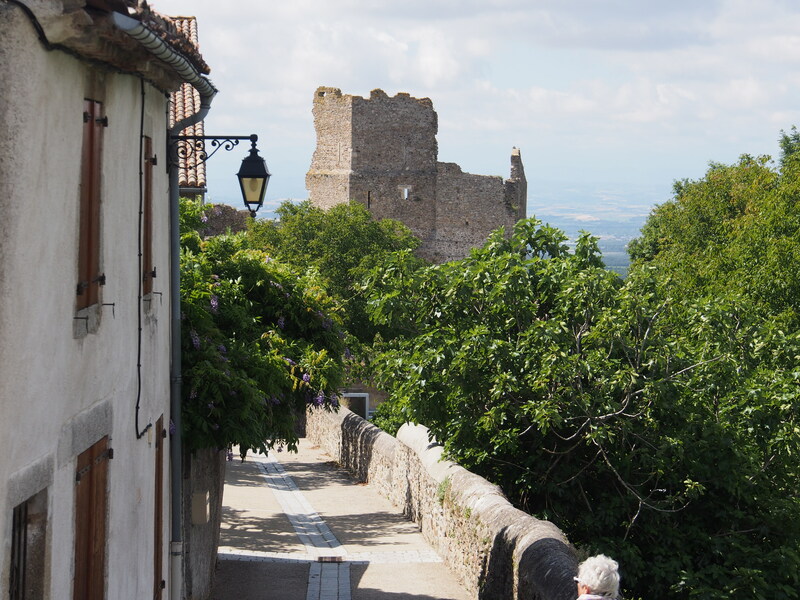 Located below the existing village it’s a tourist attraction for those interested in following the Cathar trail through Southern France. 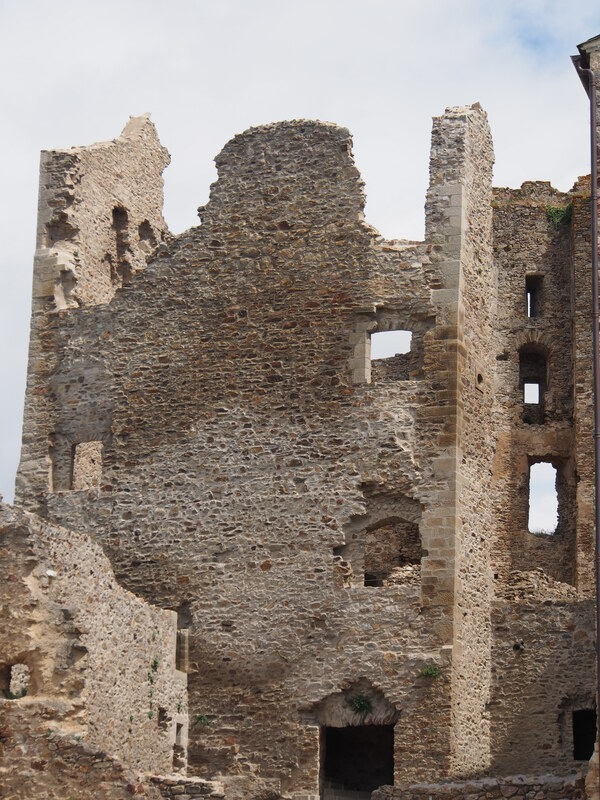 The château is now a museum and work on restoration is slow but the work well done. 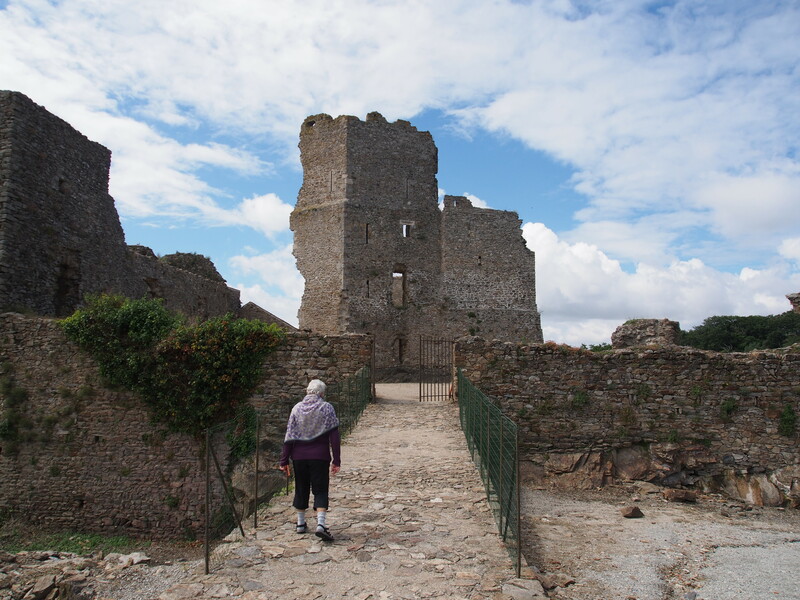 90 percent of the château is in ruins but it’s still holds one enthralled by the stunning site and if your imagination is fertile then one can envision the village and terraced hillsides and smell the fear of the inhabitants under siege. The château lies on the lower confines of the old village. Hence one has to walk down through the village along the cobblestone streets. As a result we have numerous tourists who walk by our temporary home some stopping to ask us questions and others sitting by the fountain to have their lunch. Today the town consists of the remnants of the old village with cobblestoned streets, tight alleyways, fountains in every imaginable nook and cranny and shuttered windows hiding either the neglected interior or slightly open to reveal the renovation work of some foreigner or local who is trying to keep the old village alive. Then the other part of town consists of the ‘new’ village, a tightly packed in development of new single storey homes accessible by car. There’s no shopping centre but there is the butcher and small grocery store on the outskirts of the village and a small grocery store in the old village all of which do a fabulous job of providing fresh produce, meat and various sundries to the townsfolk. 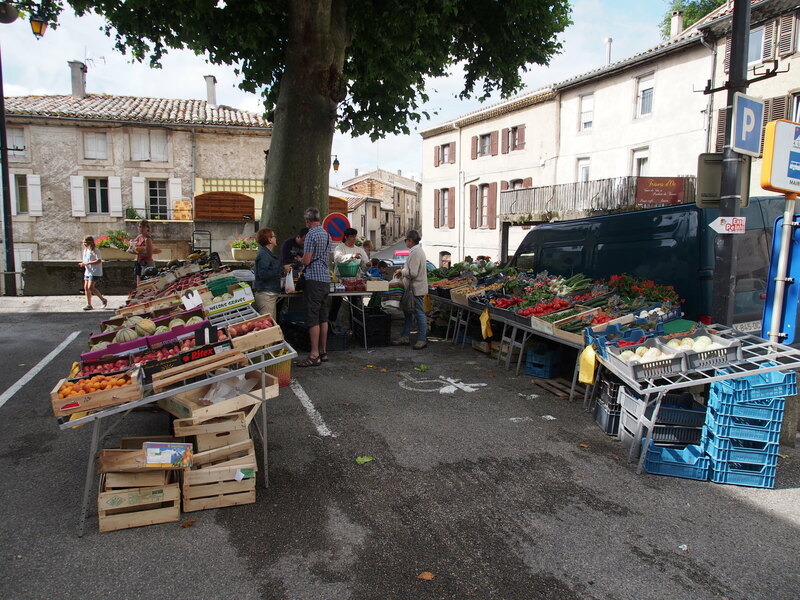 In addition to the two small stores and the butcher the town is well served with a meat truck that comes on Thursday, the fish truck on Tuesdays and a small vegetable market on Sundays. Without a car it calls for careful planning when it comes to the weeks shopping. One will never starve but one has to plan well for the weeks meals. I will say if there’s no food then there is always wine! The region explodes with vineyards. One can simply walk down the hillside to get a bottle filled with not the best wine but certainly a wine that in British Columbia would probably sell for $20! And here? It’s only 3 Euros. Ah, life in a French village. Well, we have not been completely marooned in Saissac. Sue, our friend, and chauffeur has arrived back from her trip to Berlin with a car in tow. There are both the negative and positive sides of having a car. On the positive side it allows us to go out and explore. 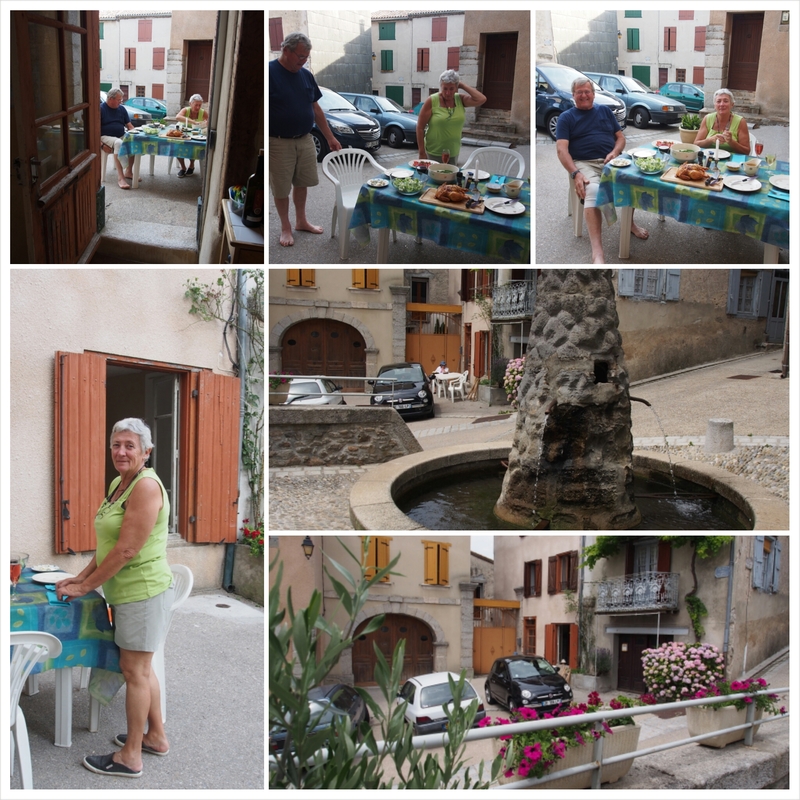 On the negative side it takes away from the slow life of the village and keeps our minds and bodies wandering throughout the countryside exploring all the wonderful secrets of southern France. 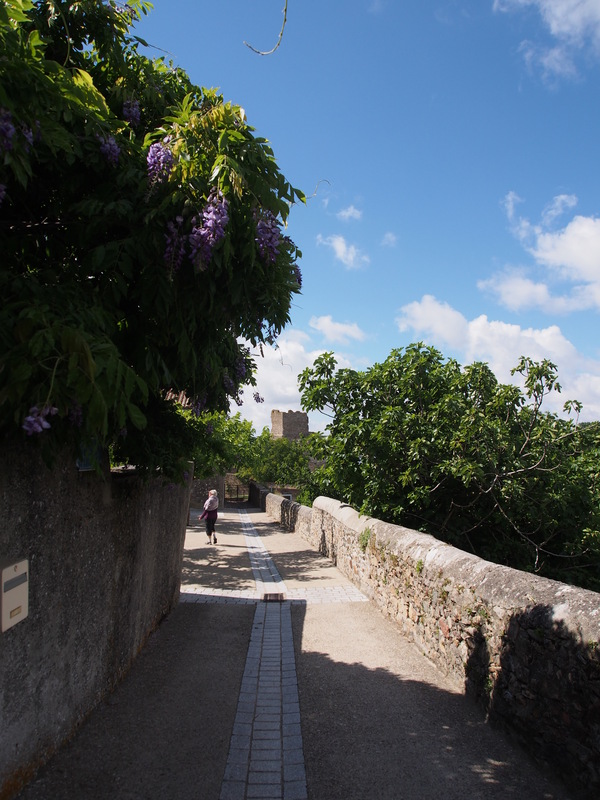 However, there are a few special times in Saissac. Of course, we were here for July 14th, La Bastille, Le Fete Nationale. 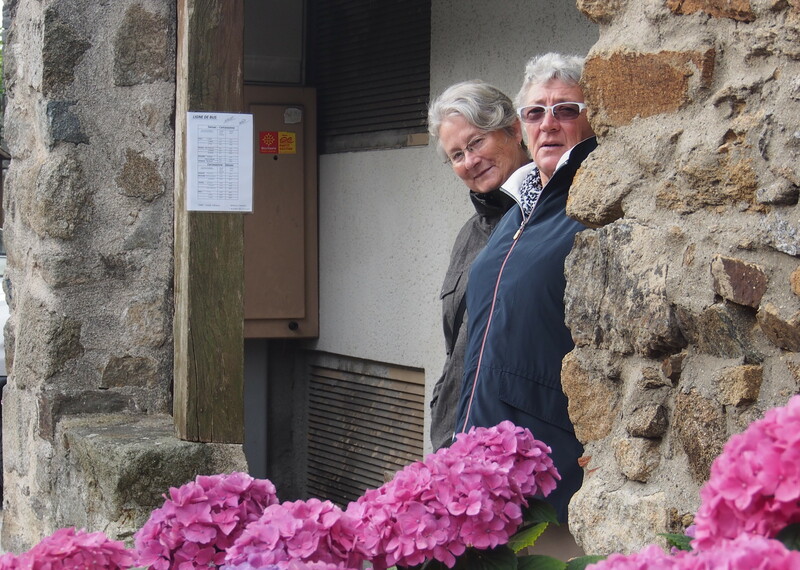 Passing by our home on this special day were the dignitaries of the village and anyone else, like Connie and Sue, who wanted to join in. The marching band and entourage walked around all the important places in the old town ending up in the city hall square. For your amusement see the video. Along with this special fete we joined in the celebrations in the evening taking in the community dinner. Paella for 150 people cooked on the open fires of the community centre. Who has a paella pan this big at home? 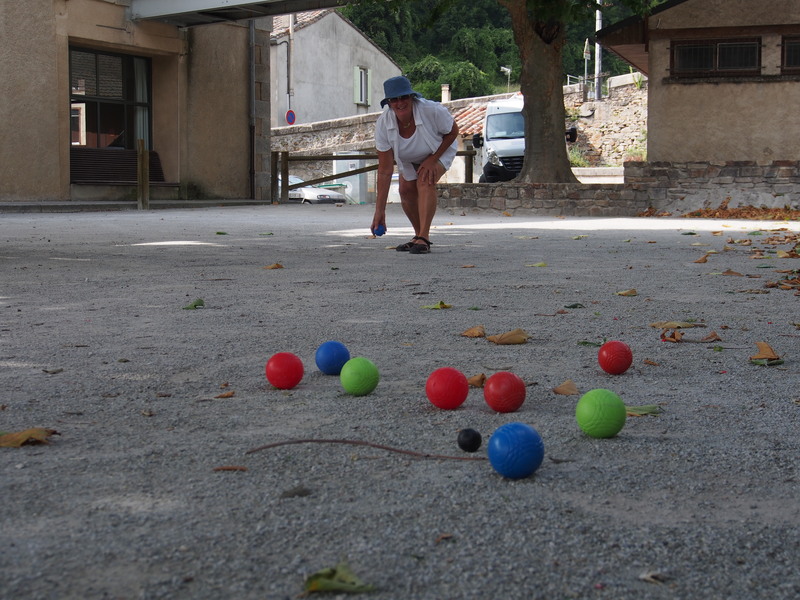 And then there is always pitanque at the Saissac boulodrome. Noice, shall we retire there? What is the tree ?bush ? with the purple flowers on it? Sounds like you are having a wonderful ‘south of France’ experience. How do I find the ‘video’? We arrived here on Cortes Is. with the Carroll gang yesterday for a week. We are sleeping in the ‘turtle’, our beloved van that we live ‘out of’ for 5 months of the year. The house is a huge rambling place with an outdoor, kidney shaped, saltwater pool. One can jump into it off the balcony.. that’s for this afternoon when the sun hits it!!! Last night we enjoyed shepherds pie (made by Agatha at home) and watched a fabulous sunset over the strait to the west ( mountains of Van. Is.) Wow! On the huge property there are apples falling off the tree and figs that are crying out to be picked,YEAH! Life is good here too.. you got to love summer on the west coast!